Proof that Fincher can deliver! Big budget title? More CGI than you can shake an ILM computer generated stick at (aka Benjamin Button) ? – No problem. 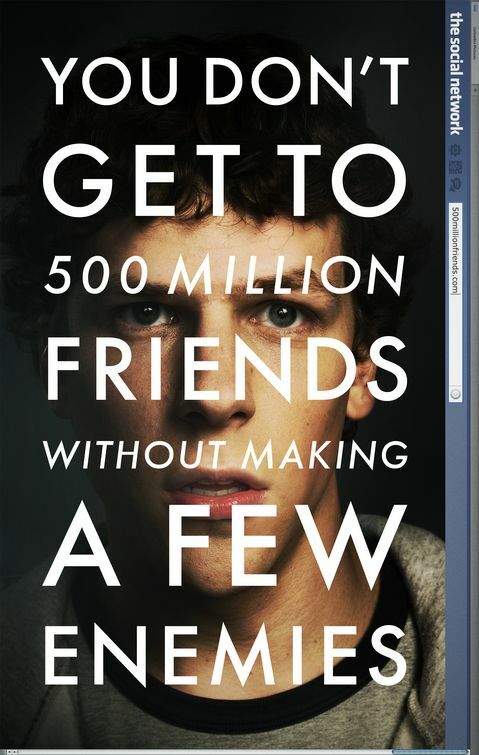 Low key (visually anyways) ventures like The Social Network? – Equally problematic. The key? Interesting stories executed in a stylish and engaging manor, yet never putting style over substance. Fast and vicious dialogue that doesn’t treat it’s audience like morons, yet never leaves those paying attention behind. Casting that fits, characters are given all the room they need to ‘work’, no one gets a free ride (not even Timberlake, who’s proving that he is just as talented as we all feared and hate to admit). In short, a great story (all the more poignant for being true) with great casting, none more so than Eisenberg and his silver geektastic tongue, all shot and edited together in such a way that says WATCH ME!!! (only without the need for caps lock).